In our increasingly secular world, holy texts are at best seen as irrelevant, and at worst as an excuse to incite violence, hatred and division. So what value, if any, can scripture hold for us today? And if our world no longer seems compatible with scripture, is it perhaps because its original purpose has become lost? Today we see the Quran being used by some to justify war and terrorism, the Torah to deny Palestinians the right to live in the Land of Israel, and the Bible to condemn homosexuality and contraception. The holy texts at the centre of all religious traditions are often employed selectively to underwrite arbitrary and subjective views. They are believed to be divinely ordained; they are claimed to contain eternal truths. 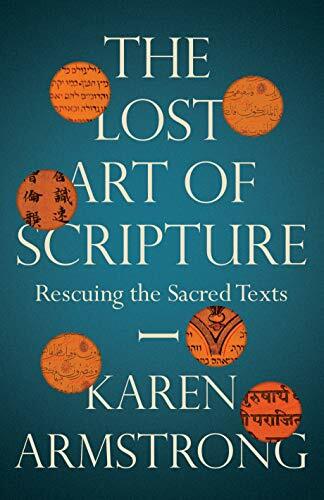 But as Karen Armstrong, a world authority on religious affairs, shows in this fascinating journey through millennia of history, this narrow reading of scripture is a relatively recent phenomenon. For hundreds of years these texts were instead viewed as spiritual tools: scripture was a means for the individual to connect with the divine, to transcend their physical existence, and to experience a higher level of consciousness. Holy texts were seen as fluid and adaptable, rather than a set of binding archaic rules or a ‘truth’ that has to be ‘believed’. Armstrong argues that only by rediscovering an open engagement with their holy texts will the world’s religions be able to curtail arrogance, intolerance and violence. And if scripture is used to engage with the world in more meaningful and compassionate ways, we will find that it still has a great deal to teach us.